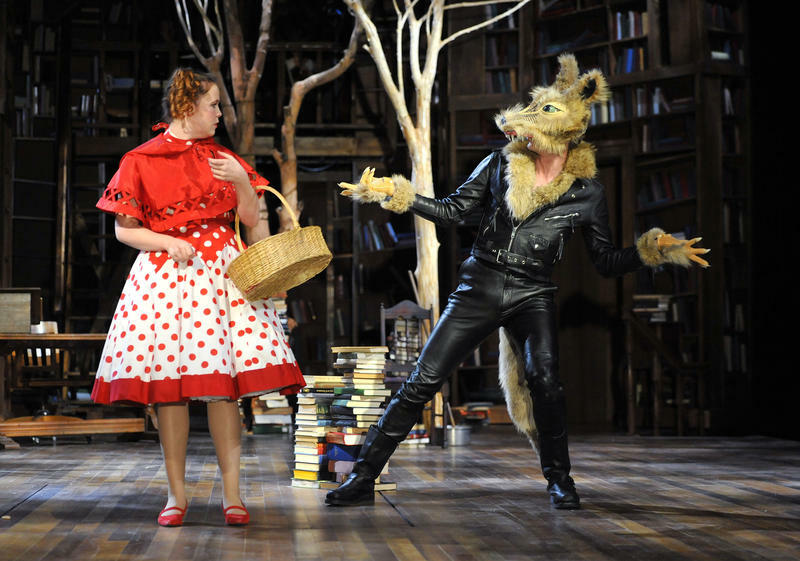 Jessica Sorgi as Little Red Ridinghood and Gregory DeCandia as The Wolf in the PlayMakers production of Sondheim's Into The Woods. 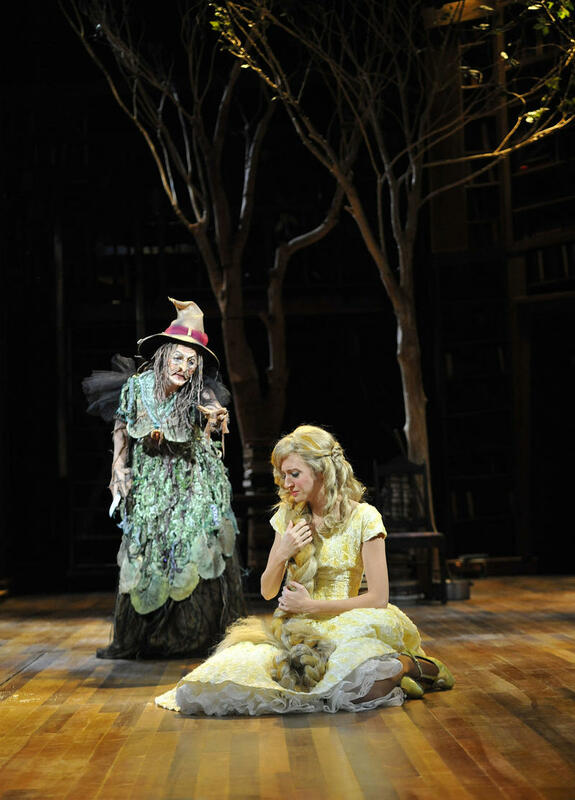 Lisa Brescia as The Witch and Carey Cox as Rapunzel in the PlayMakers production of Sondheim's Into The Woods. But it’s quickly evident that this may not be a happily-ever-after story. Stephen Sondheim’s fractured fairy tale has familiar characters like Cinderella, Little Red Ridinghood, Jack and the Beanstalk and Rapunzel, but it explores the darker side of what happens when our wishes do come true and the dangers in believing in a “Happily Ever After…” PlayMakers Repertory Company is presenting the musical in rotating repertory with A Midsummer Night’s Dream through Sunday, December 7. Host Frank Stasio previews the show in studio with director Joseph Haj, dramaturg Greg Kable, musical director Jay Wright and actors Jessica Sorgi and Jeff Meanza.